Karen A. Clark, the first Multicultural Strategy Manager at City National Bank, creates and executes marketing strategies to attract diverse clients; and oversees diversity & inclusion strategies internally. Prior to, she was the first multicultural marketing manager for U.S. Bank; before that, the first development director for non-profit Operation HOPE. In that role, she traveled BofA’s footprint internationally, teaching managers how to attain greater bottom line productivity utilizing effective inclusionary practices; self-examination; and, behavioral change. Karen serves the following boards: Educating Young Minds (president); L.A. Women’s Theatre Festival (secretary); PCR small business development Center (treasurer); Streetlights (PA training program) and, financial education director for the Duke Media Foundation. 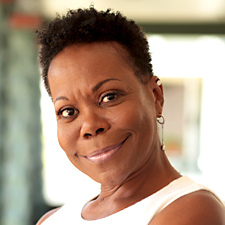 She holds a BA in economics (CSU Sacramento); was named one of the “Top 20 Black Female Power Players in L.A. Business” Focus Magazine 2012; and received a Diversity Leadership award from the CA & Nat’l Diversity Councils, 2015. She is a frequent speaker on D&I topics including – Inclusive Leadership; Race & Privilege; and Personal Branding. She is an actor, singer, songwriter, & producer. Her sophomore album, the Karen A. Clark Project, is available on iTunes, & CD Baby. She has been featured locally on the main stage of the Long Beach Jazz Fest; Pip’s; and the Central Ave Jazz Fest to name a few. The 3rd album, “Defying Expectations” is due out early 2018.